Snow affect display dome containing German Steel made KwK 43 8.8cm shell case remains fired by German King Tiger Tank.The case is the bottom section it is rusty but solid and has ripped and blown it has been nicely cleaned and is perfect for display or any collection.The case has been mounted in to a perspex dome with snow affect white powder and foam the dome is around 19inches wide and 10 inches tall.The shell case was recovered near Stavelot in the Ardennes Forest would have been fired by tank of SS.Panzer Abteilung 501 the only ones in the area who had king tiger tanks.A very nice and rare relic from the Ardennes Forest used during battle of Bulge in the winter of 1944-1945.The dome comes with 2 x A5 laminated information cards with pictures. SS.Pz.Abt501 which had 20 King tiger tanks this was the independent heavy Tiger Abteilung of The 1st SS Panzer Division "Leibstandarte SS Adolf Hitler. 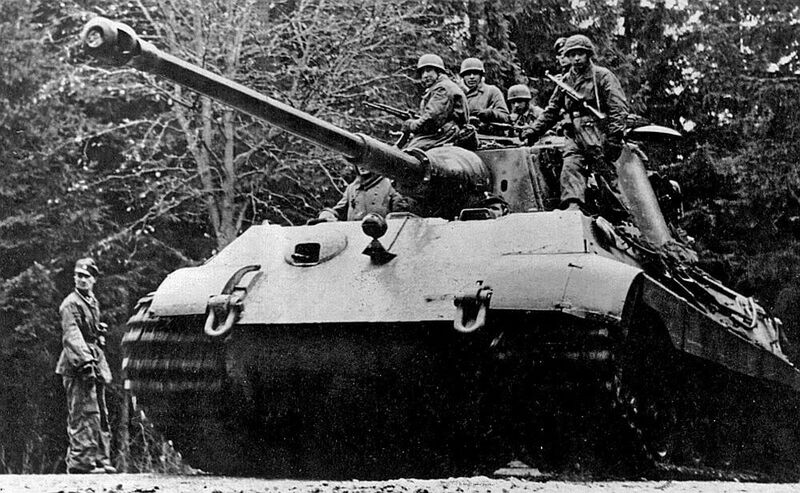 The King Tiger was used in significant numbers for the only time in the west during the Ardennes offensive, distributed into four heavy panzer battalions. At least 150 Tiger IIs were present, nearly a third of total production, and most were lost during the course of the offensive.